This figure was reached thanks to the investment carried out during 2014 for the installation of a new, highly innovative water treatment system. With the new system, Tradecorp could also guarantee that the dumped water is completely treated and clean, free of manufacturing waste. On the other hand, we use a double environmentally-friendly process, as the concentrate resulting from the treatment is donated to local farmers as a fertilizer, using its agricultural value and reducing the amount of waste we generate. 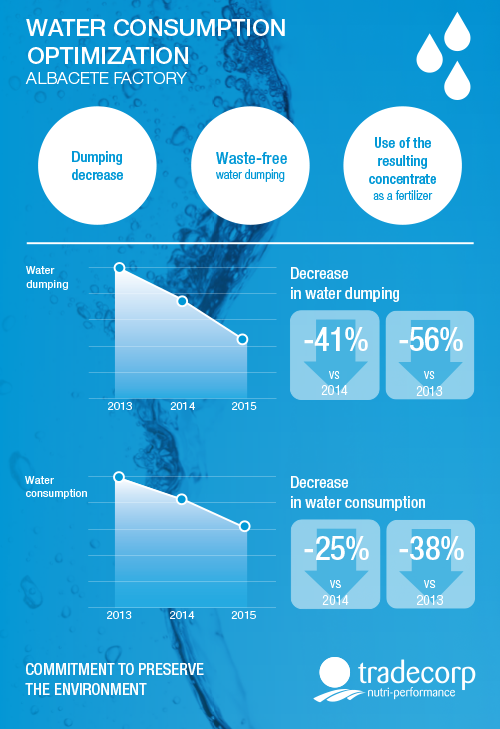 Moreover, an optimisation of processes was carried out, which allowed for a more efficient water use and involved a drop in water consumption by 38% compared to 2013. 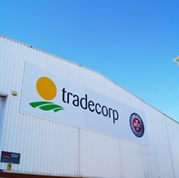 Tradecorp is committed to environmental protection and the sustainable use of natural resources. Thus, consumption analysis, water reuse and recycling plays a key role when analysing our impact on the environment.